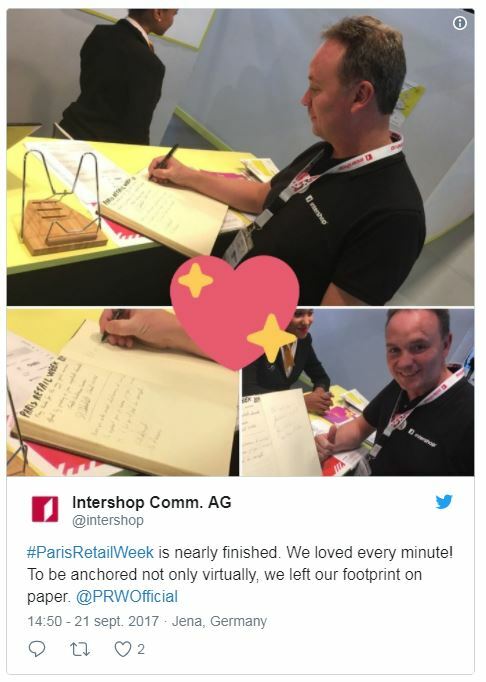 Because it is our exhibitors who say it best, discover what they thought of the last edition of Paris Retail Week! “Octave has confirmed its attendance at this third edition of Paris Retail Week, which has now become an unmissable event. With several hundreds of meetings and fifty or so projects that we know of, this edition is even better than the ones before! These promising contacts confirm that our omnichannel solution is aligned with the show’s positioning, driven by the current demands of connected commerce. The workshop-lectures were also a source of great opportunities. Like at our second workshop, featuring a testimonial and participation by our client, a chain of 70 stores, where over 150 key decision-makers in distribution took an interest in our unique positioning. “Mi9 has been exhibiting at Equipmag for many years, and for the first time, in 2016, we had our greatest achievement by winning 4 great contracts with major Retailers. Most of these retailers have no fewer than a hundred shops in Europe and abroad, and today they tell us how satisfied they are to be working with Mi9 Retail’s teams and omnichannel solutions. “The 2017 edition of Paris Retail Week was one of the best for us in terms of return on investment. We had personalised support from the organisation, which was very appreciable and appreciated. As for visitors to the show, quality is preferred to quantity and this was felt in the conversations we had with them on site. “The Equipmag 2016 show has come to an end… and has left us with a good impression, one of successful participation.